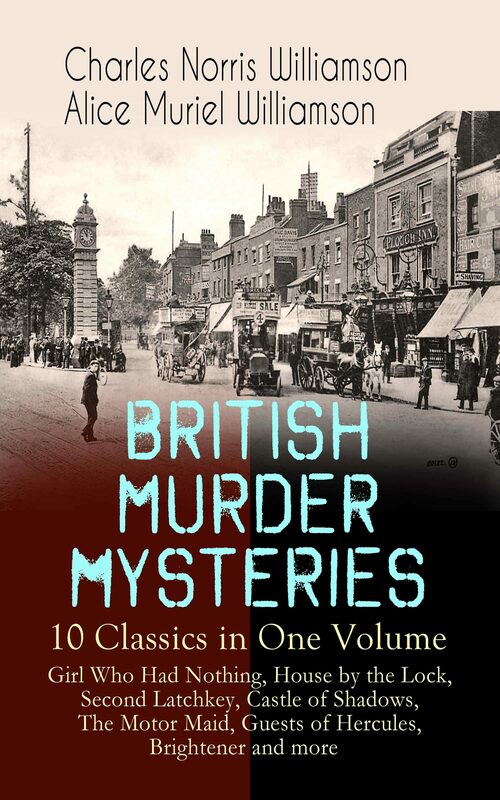 This carefully crafted ebook: “BRITISH MURDER MYSTERIES – 10 Classics in One Volume: Girl Who Had Nothing, House by the Lock, Second Latchkey, Castle of Shadows, The Motor Maid, Guests of Hercules, Brightener and more” is formatted for your eReader with a functional and detailed table of contents: The Motor Maid The Girl Who Had Nothing The Second Latchkey The Castle of Shadows The House by the Lock The Guests of Hercules The Port of Adventure The Brightener The Lion's Mouse The Powers and Maxine Charles Norris Williamson (1859–1920) and Alice Muriel Williamson (1869-1933) were British novelists who jointly wrote a number of novels which cover the early days of motoring and can also be read as travelogues. .
Otros ebooks de Charles Norris, Williamson.